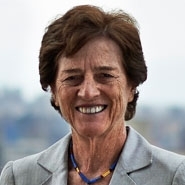 Elizabeth Holtzman is co-chair of Herrick's Government Relations Group, where she handles government relations at the federal, state and local levels. Liz also focuses on litigation. Liz joined Herrick after 22 years in government, including 20 as an elected official. During her four terms as a U.S. Congresswoman, she captured national attention for her role on the House Judiciary Committee during the Watergate scandal; chaired the Immigration and Refugees Subcommittee (dealing directly with foreign governments); co-founded the Congressional Caucus for Women’s Issues (successfully legislating numerous women’s rights laws); and authored many laws, including those dealing with Nazi war crimes. Liz subsequently became the first woman elected District Attorney in New York City, serving eight years as DA of Kings County (Brooklyn), where she argued successfully before the U.S. Supreme Court, and pioneered new strategies for the prosecution of sexual assault and environmental crimes. She also led the effort to end the practice that allowed African-Americans to be removed from juries using peremptory challenges. Liz was also the first and only woman to be elected Comptroller of New York City. In that position she managed $50 billion in the city's five pension funds and issued more than $20 billion in city bonds. Former Mayor Bloomberg also signed into law a bill that Liz authored as Comptroller, which held gun manufacturers liable for injuries caused by illegal guns. In 2013, U.S. Secretary of Defense Chuck Hagel appointed Liz to the Response Systems to Adult Sexual Assault Crimes Panel, which reviewed and assessed the handling of sexual assaults in the military, and developed recommendations for reforms. In 2014, she was appointed chair of the successor Judicial Proceedings Panel. In 2014, Liz was also appointed by the Secretary of the U.S. Department of Homeland Security to its Advisory Committee. Previously, Liz was appointed by President Bill Clinton to the Nazi and Japanese Imperial War Criminal Records Interagency Working Group, which oversaw the declassification of more than eight million pages of secret Nazi war crimes files held by the U.S. government. Liz has written many op-ed articles, and has appeared on television and in movies, including the 2013 Robert Redford documentary All the President's Men Revisited, and the Academy Award-winning documentaries, Hôtel Terminus, about Gestapo Chief Klaus Barbie and Women - for America, for the World, about nuclear disarmament. She has also authored three books, and has won many honors and four honorary degrees for her significant contributions to American politics.